I think it's high time we started a 2018 Lego Trains thread after a pretty disappointing 2017. 2018 has to be an improvement right? Quite a few people seem to believe that there is a "pattern" to the City train releases and according to this pattern we should expect a new Passenger Train, Cargo Train and Train Station in 2018. @Duq explained the pattern very well on the 2017 Trains thread. In addition to these expected releases, there is also a rumour that the next modular building could be a central train station. Personally I find that a bit hard to believe but you never know! I wonder if we'll get an Expect train this year.. isn't this year due for one, if the pattern correct? Reliable rumor source Sir von Lego has already confirmed that City's train subtheme will be retuning for Summer next year, just like everyone else has speculated. I'll check back on the modular rumor/discussion topic every now and then, and so far, I haven't seen that rumor debunked yet; but at the same time, I haven't seen any additional confirmation of it. We should though see a press release for the next modular any time now this month. I'm not sure myself about any particular pattern for Expert series train sets, but if the rumors about next year's modular being a train station are true, then I'd definitely expect a complementary Expert series train set for a potential modular station in the same year. Well I hope he keeps up his track record of successful rumours :) If it *is* true, what do you think we'll see? Pretty simple recolours of one of the recent cargo and passenger trains or something a bit different/more adventurous? 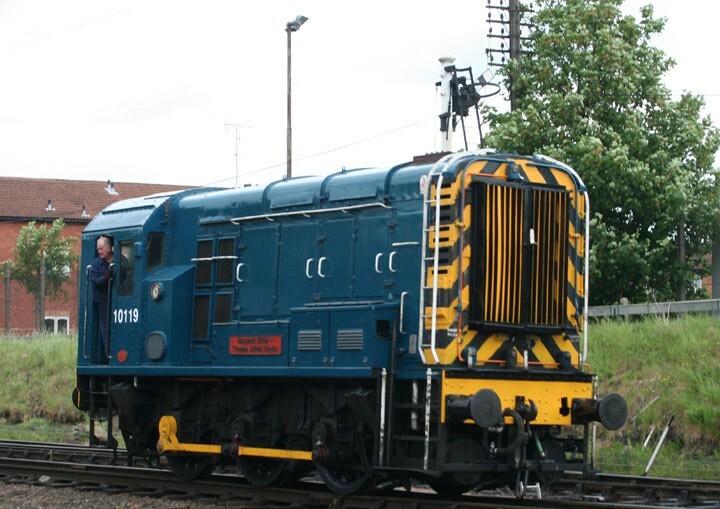 Maybe we could get a BR class 08 diesel shunter. Like this one. Has Lego ever actually made a shunter based off the BR class 08? There are a lot of awesome MOCs of this particular shunter out there. The question is would it be better as a Creator Expert series set, or a City set? The question is would it be better as a Creator Expert series set, or a City set? Probably as a City set, preferably as a trackless, Power Function-less, thirty dollar "great vehicle" City set. I know something like that has never been done for City, but it would be cool to see Lego do smaller, more affordable locomotive sets for the theme. The same can be said for Creator, but not the Expert subtheme. When it comes to shorter based shunter diesels and tank engines, why can't Lego do a $50-$70 three in one locomotive Creator set, featuring no track nor Power Functions? Well, if not just a simple rehash of 2014's offerings, I could see Lego doing either an electric, intercity express type train, or a diesel shutter train set like @LegoMonorailFan had just mentioned. This was the post on the topic that was the source of the rumor. The user is only a Vassal, and he said to just take the rumor with a "grain of salt". If it is just the Winter Holiday Train out of line then 2018 would not see a new Creator Expert Train because they come out every odd year, going by that. Also, City trains have come out the years that Creator Expert Trains have not. So, though I and so many others would love to see one, unfortunately I do not think it likely that there will be a Creator Expert Train in 2018. Don't hold your breath. The higher ups clearly have no clue whatsoever as to why we fell in love with the Trains theme when we were kids. I'd love to be proven wrong but I highly doubt that we will ever get new sets that could rival those that were released between 1980 and 1993. That's very harsh @3797 - there have been some great train sets released since 1993. Admittedly it's been slim pickings for Train fans in the past couple of years but I personally will wait to see what happens in 2018 before calling it a terminal decline..
Harsh? I just don't feel like sugar coating everything. If no one speaks up, then how will they ever know what they're doing wrong? The gems from the 9V era were 4558, 4563 and 4551. I do own and like 4564 but 4563 was a better set, imo. Compared to those, sets like 4559, 4660 and 4565 as well as the RC Trains and the complete My Own Train line have always been complete turds. Emerald Night, Maersk and Horizon Express were great sets but they were not part of a proper trains theme and imo that's why they didn't sell as well as they should have. Same goes for the Santa Fee and the BNSF but I never really cared for those US American designs and thus never bought them. I consider 60052 to be a "lucky mistake" for the company. Clearly their best Train set since the mid 90s. I bought 5 of those. The train from the Lone Ranger sets was nice. I may still get that one. But again: Not part of a proper trains theme. Not much to add. Not much else to play with. The winter village train is a bit of a joke and reminds me of the Toy Story one. I'd never compare that one to truly great sets like the Emerald Night, Maersk and Horizon Express. A proper station would be a nice start. And a level crossing that was built with more than 20 pieces. Actual bricks would be nice. I also said it before that imo LEGO needs to make a set like 7735 or 4563 again. Make it smaller and thus more affordable as a starter set. Put the battery in the boxcar. They could even make another push along train that can be upgraded with PF function pieces. Huh? I get that there's not necessarily a regular pattern with Creator Expert trains, but assuming that 2018 WON'T get a train because all the sets but one came out in odd numbered years doesn't make a lot of sense. 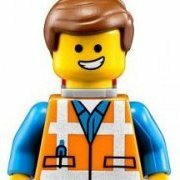 What patterns exist in Lego set releases are usually based more on how much time has passed since similar sets than on factors like whether a year is odd or even (since what digit the year ends in has no direct effect on a set's marketability, outside of sets that are targeted at specific anniversary years). If you were to interpret a pattern, it'd be more akin to "a new Expert train every 2–3 years", in which case 2018 would about as viable as 2019 for a new Expert train set. Lego have released 3 'Expert' train sets, and they happened to be two years apart. They're not part of a theme (other than Creator) and there's no pattern. If we're lucky we'll get another Expert train at some point but I'm not holding my breath. I'm certainly not expecting one next year since they're already producing the City trains. Yep, this seems the most realistic - I'm fairly sure that, having covered off the three major modes of traction (steam, diesel and electric), that Creator line is done for the time being. The only small hope I have is, if Lego are seriously looking at rereleasing retired sets that have a high aftermarket value and a Lepin version (like UCS MF and Taj Mahal), maybe Emerald Night will feature in their plans? That seems like an odd way to look at it. They don't stick to the one and done rule in any other line so what makes you think they would do that for the Creator Expert Trains ? Infact, they have already produced two steam trains in the line (Emerald Night and Winter Holiday Train) so your theory doesn't really make sense. I would speculate that in addition to the expected City passenger and Cargo trains next year we *might* get an Expert train towards the end of the year to get back to the 2 year release cycle. If that *doesn't* happen, I think there would be a pretty strong chance of getting one in 2019. There's no particular logic in my 'one of each' theory, except the need to see patterns in the mysterious decisions Lego make (why would they stop making such great trains on the two year pattern after 2013?). As a result, I don't expect anything this year or next (except the City sets) - but I am really hoping! Well the Winter Holiday Train does say "Creator" and "Expert" on the box so I think we have to conclude it was part of the line :). TBH I'm not the biggest fan of the set and agree completely that it isn't up to the standards of the previous 3 (imho exceptional) creator expert sets, but technically it's part of the line. I hear you on looking for patterns to understand the inscrutable decisions of TLG btw - I can't for the life of me understand why such a loyal and passionate fan base as the trains fans can get such little love from them. I'm secretly hoping for a proper, Emerald Night-style Hogwarts Express to go with the new Harry Potter theme (re)launching summer 2018 (or at least, I heard rumors this theme is coming back). And then of course a D2C Hogwarts castle with a couple of thousand pieces. A proper Creator Expert Hogwarts Express would be cool. 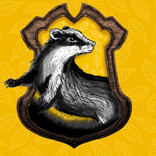 There are still a lot of Potter fans out there that it might be a good business case. Or just the fact that I'd love to see a cool red train.